So you and your partner have decided on the wedding date and can’t wait to announce it to the world. 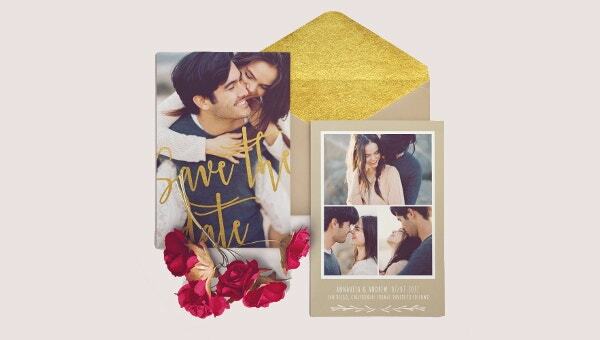 Buy you want to make it special by creating a special message and playing around with creativity and this is where Save the Date templates can help you. Save the Templates are used by photographers, designers and also people looking forward to making their wedding announcement. Whether you are planning to make the announcement via your facebook post, or card or newsletter etc, The templates given here are going to help you and also save you a lot of time. Check out the template to decide for the one you would want to go ahead with. You may also see invitation Examples. 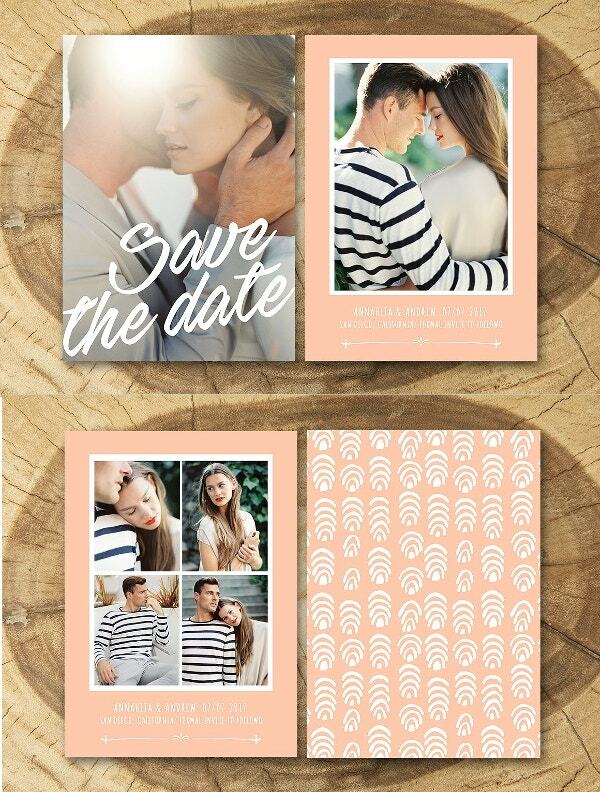 This “save the date” template can be used for various print formats like newsletters, cards etc. The file is available in PSD file format. The layers are well organized and are fully editable. You can make all kinds of changes to the template from colors to background and size, using Photoshop. However, the font is something that you cannot change. 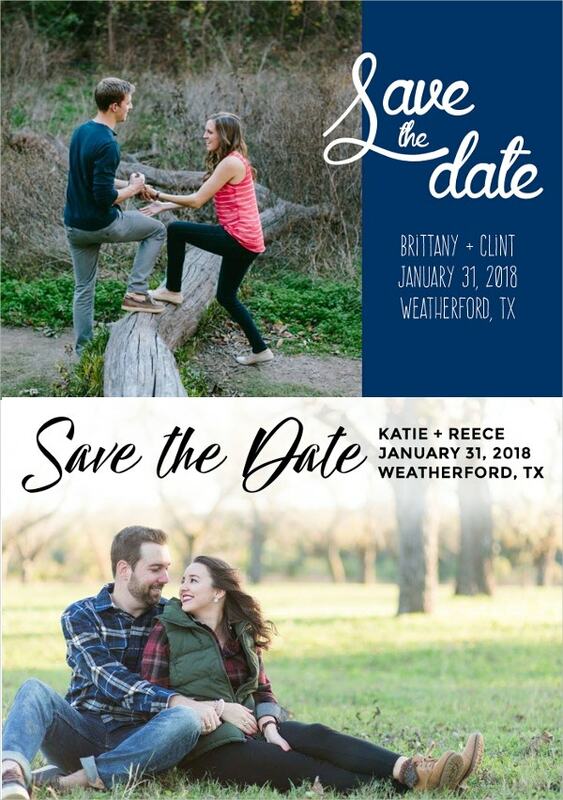 With this template file you get a lot of variations in terms of style and photography that you can use to create a “ save the date” announcement card. 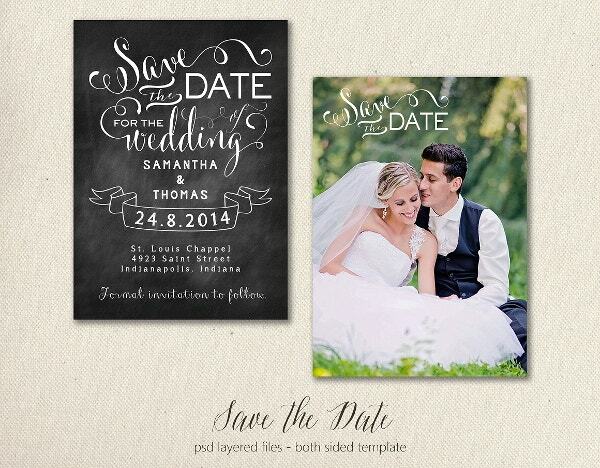 This Vintage style save the date template comes with 2 PSD file and 1 text file. 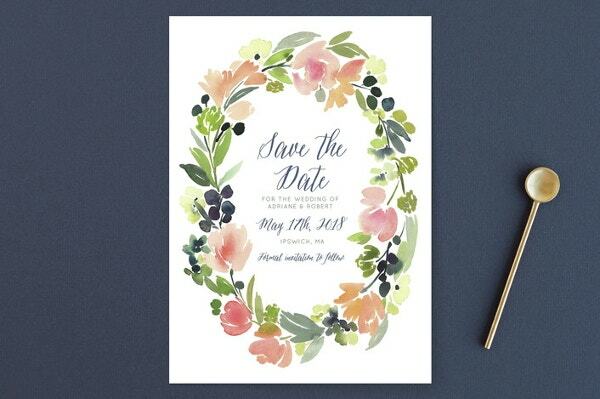 You can prepare a printable save the date card or a digital cover picture for your social media profile with this template design. You can edit the template with the help of Photoshop. The images given in the preview is not available with the template file. In the age of digital and social networking, postcards have become rare and special. 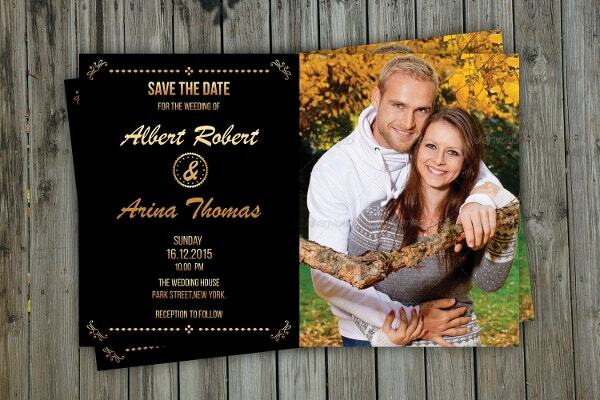 So if you planning to make the special announcement with a postcard, you ahead with the given template file. The template is fully customizable and is compatible with Photoshop CS. Creating a wedding card is now as easy as a click and few cuts and customization here and there. With this template, you get well-organized layers that you can edit easily. You can make all kinds of changes that you want with the help of smart objects. This wedding announcement template comes with a beautiful postcard layout that you can use to build your own customised wedding announcement card. It provides you a six photo layout option that you can use to showcase your favourite images. 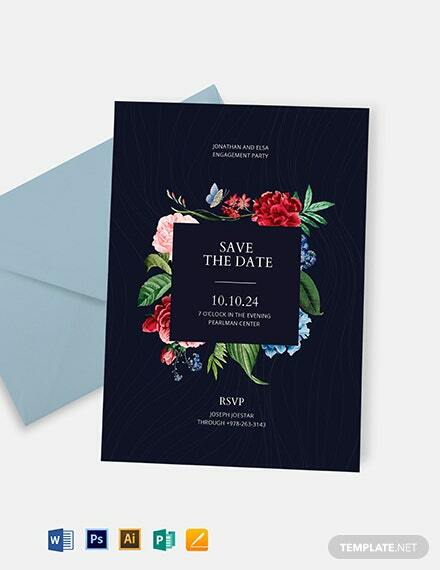 This two sided save the date card template comes in a layered template files that can be edited in PSD. 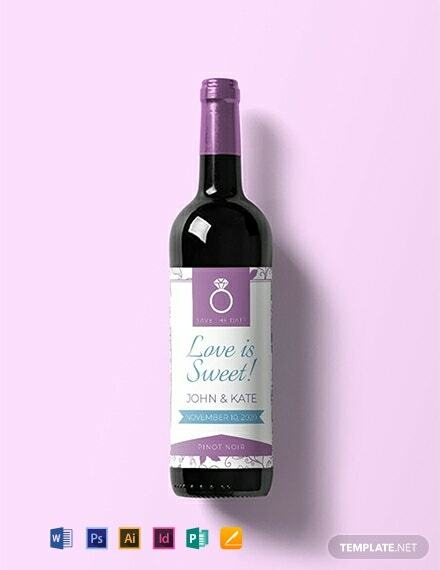 Designed with WHCC’s specifications, any kind of modification can be easily made to the template which makes it easy for users and designers to create a wedding announcement card in less time. Instantly download and print your own Wedding Save The Date Card with this easy-to-edit template. Photographers can use this template to create materials for publishing in the internet for themselves or for clients. This premium quality template comes with a PSD file, flat card design, 4 layer options , 5×7 inches of print layout. You will need Adobe Photoshop to make changes to the template. You will need Adobe Photoshop to make changes to the template. 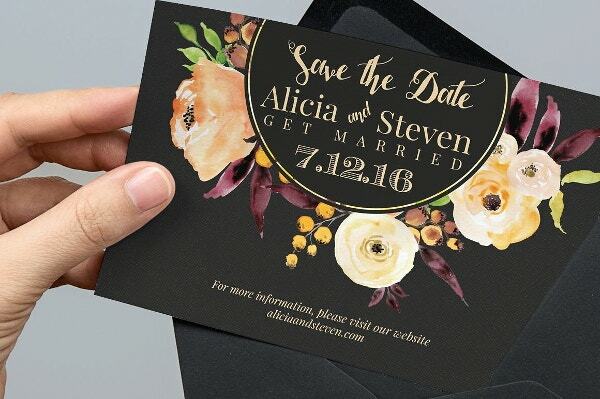 You can change the template but the text “save the date” remains the same.